Learning to read we are encouraged to read widely and develop our vocabulary. Reading classics and exploring interests helps inspire and teach us the foundations. It’s the same with photography. Great images, classic photographs – these help provide clues to the foundations of successful image-making. It helps us learn what works, what stimulates, what creates an image in the viewers mind. When learning photography our insight is improved with wide access to all the things that make images great and to the images themselves. In a previous post, “50 ways to improve your photography – every day”, I encouraged readers to constantly review other peoples photographs. Exposing yourself to images of all sorts help you to understand pictures better. Exposing yourself to great images helps you to improve by providing standards to aspire to in your photography. 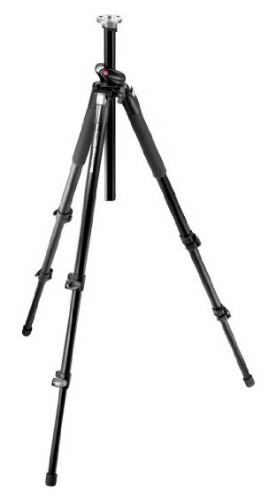 Keen photographers may already look at lots of images a day. Unfortunately, newspapers, magazines and many websites use poor quality images or ones selected for purposes other than their aesthetic quality. In this situation it helps to have a place where you can create a haven, a place of quality images you respect, admire, aspire to, even adore. It should be a place you create where you can return regularly to cultivate your own taste in imagery with the images from your own portfolio, the best from websites you use and shared images from others with similar interests. For me that place is the website “Pinterest”. …a virtual pinboard. Pinterest allows you to organize and share all the beautiful things you find on the web. You can browse boards created by other people to discover new things and get inspiration from people who share your interests. and more. The top boards on Photokonnexion Pinterest home page is shown above. Other boards line up underneath. Add a pin – enter a web address and select the image you want to pin. Upload a pin – select images from your computer to pin. Re-pin – select a pin from another persons board to pin. You can also follow someone’s entire account, or you can follow a specific board from their account. You can comment on any image too. Accounts and boards you follow are accessible from your account so you can search your ‘follows’ for more images you like later. You can also search the boards of people who follow you by clicking their icons. Each of the images are presented on one of your “boards” is in a small size. You can click through to the image in it’s largest size. If the image is presented on a web page clicking through again takes you to the page. This means you can use images a ways to get Pinterest users and your followers to visit your website too. A Pinterest account provides a categorised storehouse for images you admire. These can be your images, or ones from other places or other Pinterest accounts. In short you can pick from the cream of online images and keep the image to go back to time and again. There are literally billions of images online. You will never run out of options to like, share and refer to at any time. What Pinterest offers you, as a photographer, is a library of images that reflect your taste and interests. It is a great way to keep tabs on images you aspire to producing yourself. Your account can act as inspiration, a standard for you to work to, way to extend your photography interests; somewhere to store ideas for your future projects. It could also be a showcase of your own images for others to view and comment upon. Pinterest is a great way to make sure you see great images every day and share your interests with other people too. Every social networking site has down sides. The general interface is a bit ugly – it looks very busy on most pages. The saving grace is that the images you want to view in larger size are presented as single images so you can see them without all the other images around them. There is an opportunity for copyright abuse since any images you post can be reposted many times. Your image will go to places you cannot control. So think carefully about images you post – as you should with any social networking site. The comments system seems underused by the users – comments tend to be limited to explanations about images. The social networking side of the site is therefore a bit limited although as you get a following your communication with regular re-pinning-followers could develop as it would on other types of sites. The idea of keeping all the images you admire in one place provides a great resource for improving your image viewing. However, if you don’t choose wisely the images you pick for your boards will not improve your vision. Of course you should choose images you like. However, when you view an image in its large size you can see how many times it has been repined. Images that are re-pinned many times provide a guide to the popularity of that image. So there is “popular guidance” of sorts. It is not expert opinion on the composition and aesthetic quality of an image of course. The best guide to what makes a good image is best learned by informed discussion with experienced photographers or other artists. Pinterest provides a place for such discussions to start, so you can make the most of the opportunities on the site with your friends. 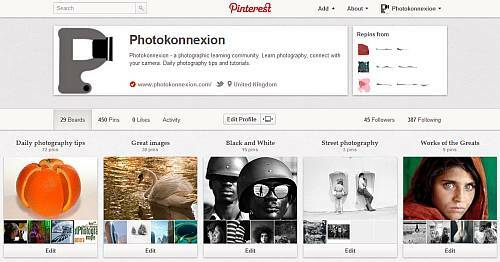 I invite you to visit the Photokonnexion Pinterest Account. You are welcome to see how we use the account and the sort of images we like and link. If you join up be sure to surf on over and follow us. You can get our daily photography links as well as some idea of what we consider great images. Look forward to seeing you there.